The Guild enjoyed a busy 2018. 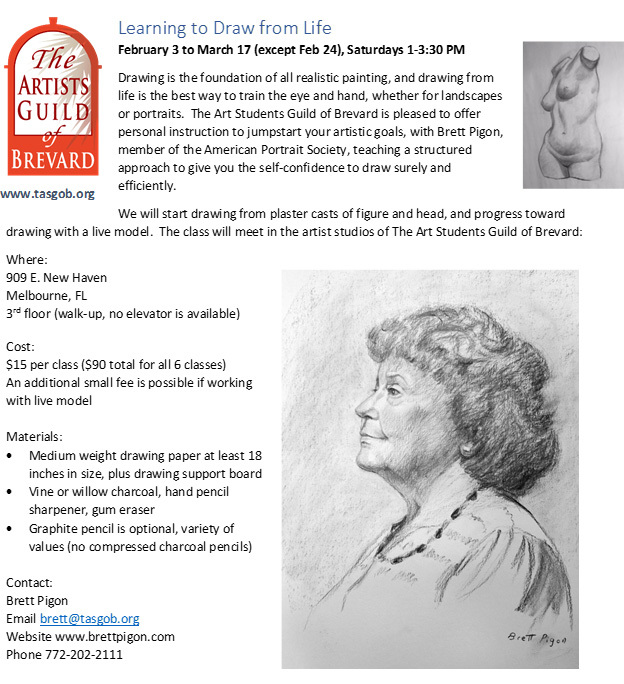 In February, member Brett Pigon conducted a drawing class which was well attended. 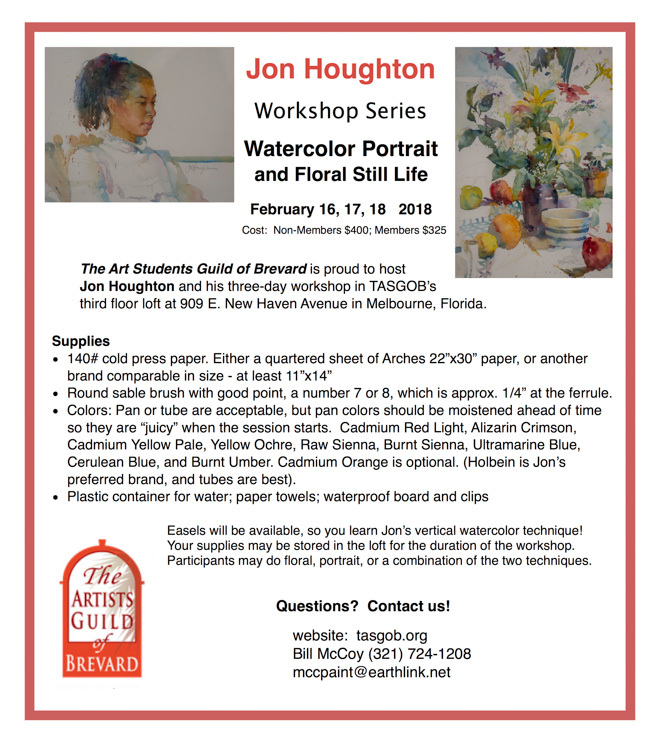 And Jon Houghton held his popular three day watercolor floral still life/portrait workshop. 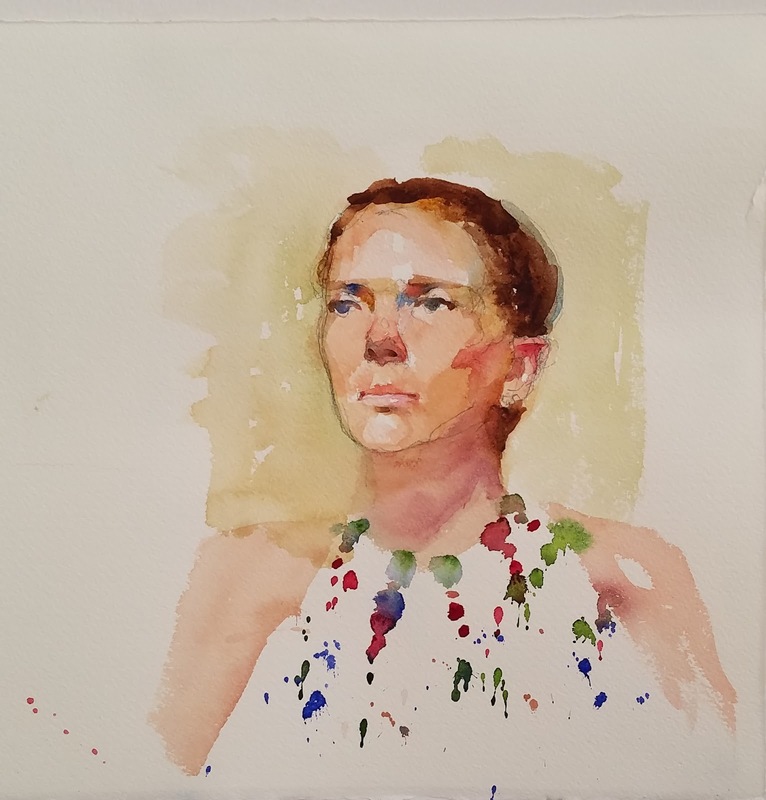 In July, Stephen Perkins' Workshop introduced a good many of us to straight line method. 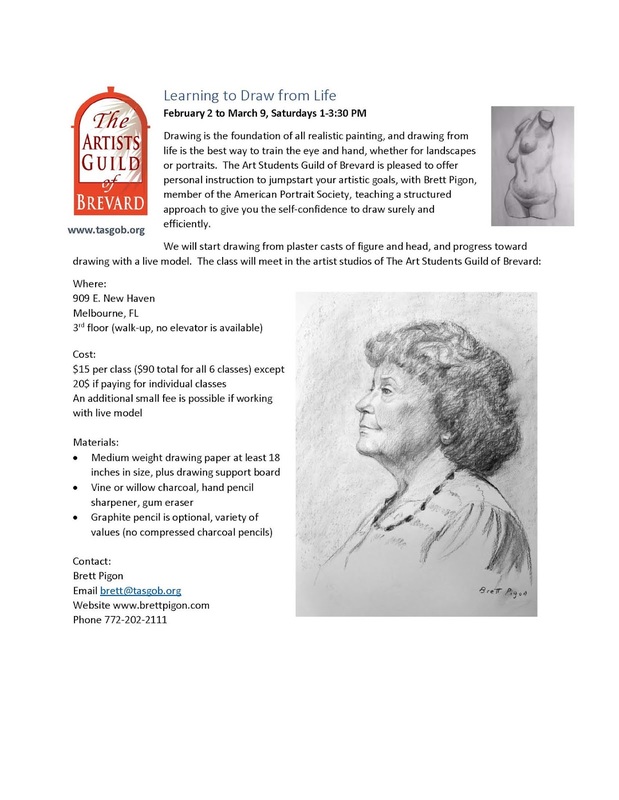 As we start the new year, we repeat Brett Pigon's drawing workshop (now in progress - scroll down to view details), and again introduce several Jon Houghton Portrait Painting Workshops (details follow - one is in February - oils/pastel, the other is in March - watercolor). This great workshop will fill quickly - please register soon! Fees: $450 TASGOB members, $525 non-members. Model fees will be shared by attendees. 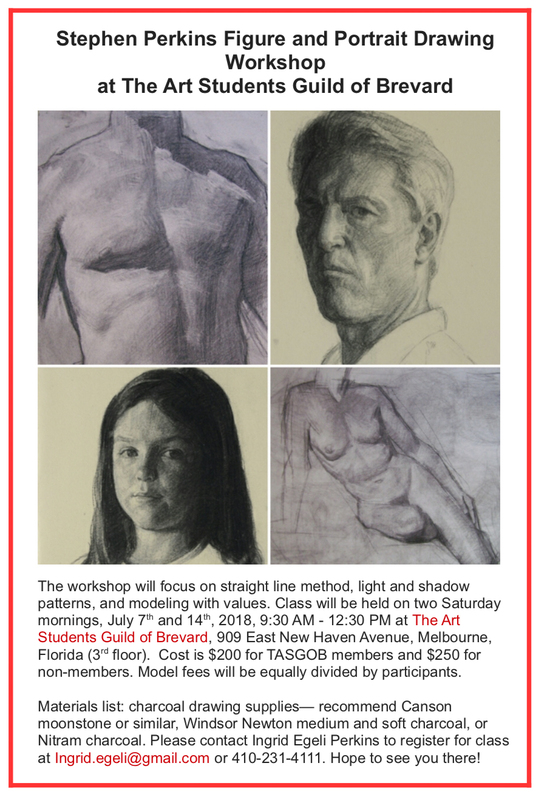 To register, send Peggy Rank an email at peggy@tasgob.org. Checks should be made out to TASGOB, and mailed to TASGOB, c/o Peggy Rank, 548 Rio Pino North, Indialantic, FL 32903. Jon Houghton's 2017 watercolor portrait workshop was a great success judging by the huge improvements all the artists made. Yes, it was warm even with the AC, especially in the afternoons, but we persevered and had a wonderful time. 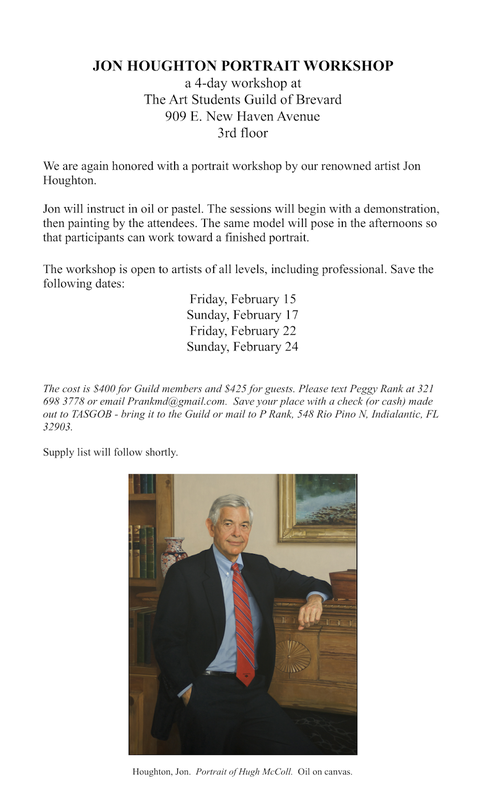 Jon is planning an oil workshop in October and another watercolor portrait workshop in February. 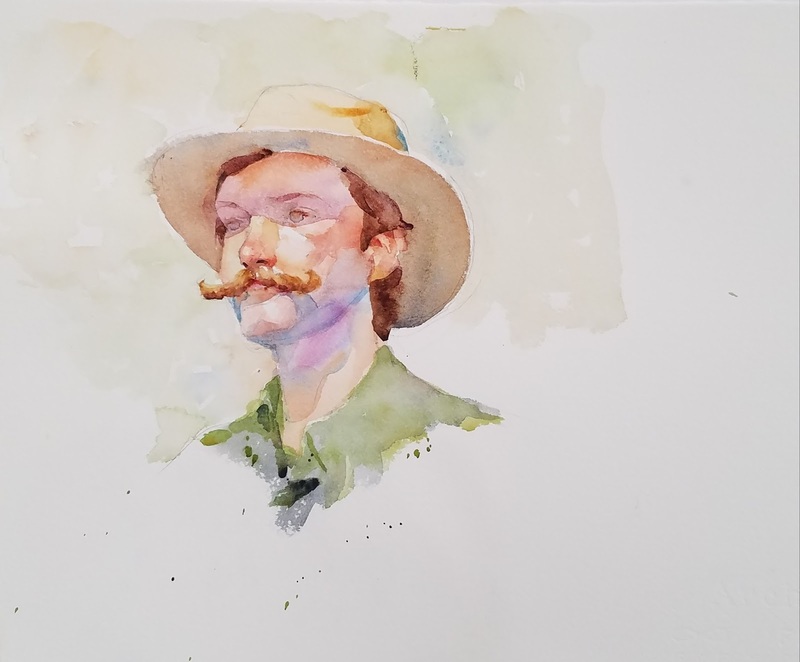 Below are a few of Jon's demo portraits for your amazement and enjoyment. 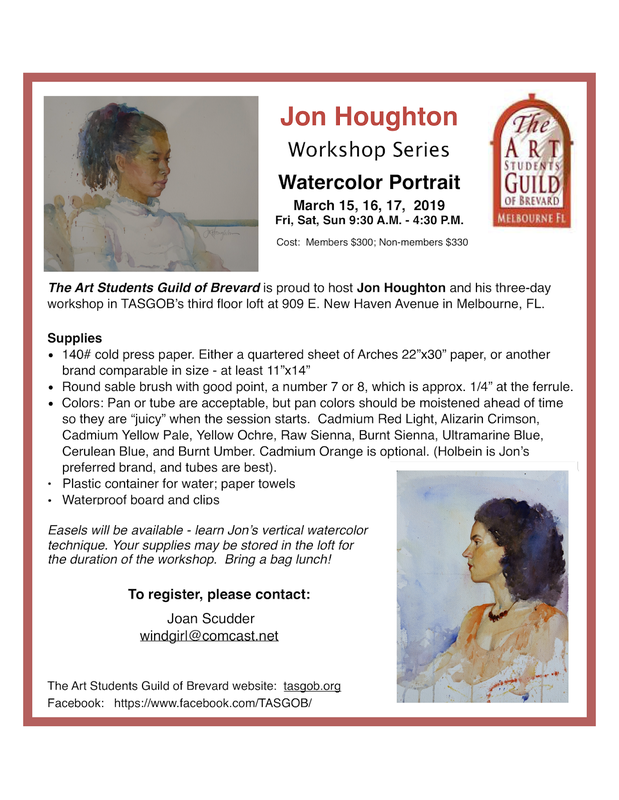 The Art Students Guild of Brevard is proud to host Jon Houghton and his three-day workshop in TASGOB's third floor Loft at 909 E. New Haven Avenue in Melbourne. 140* cold press paper. 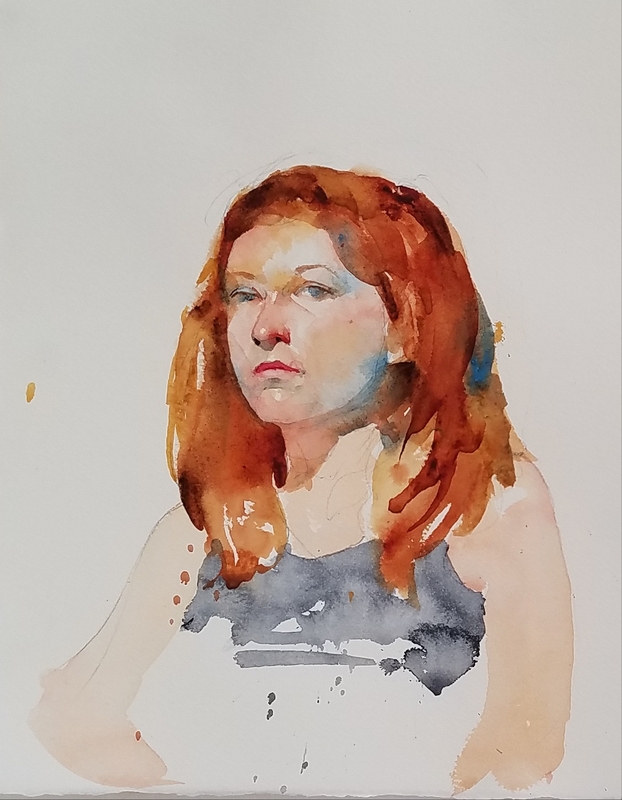 Either a quartered sheet of Arches 22 x 30" paper, or another brand comparable in size — at least 11x14". Round Sable brush with good point, a number 7 or 8, which is approx. at the ferrule. Colors: Pan or tube are acceptable, but pan colors should be moistened ahead of time so they are "juicy" when the session starts. 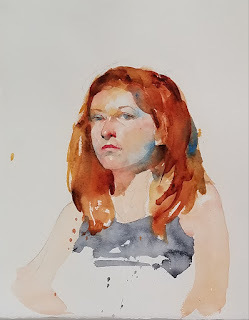 Cadmium Red Light, Alizarin Crimson, Cadmium Yellow Pale, Yellow Ochre, Raw Sienna, Burnt Sienna, Ultramarine Blue, Cerulean Blue, (Holbein brand is Jon's favorite for) Burnt Umber, and Cadmium Orange is optional. 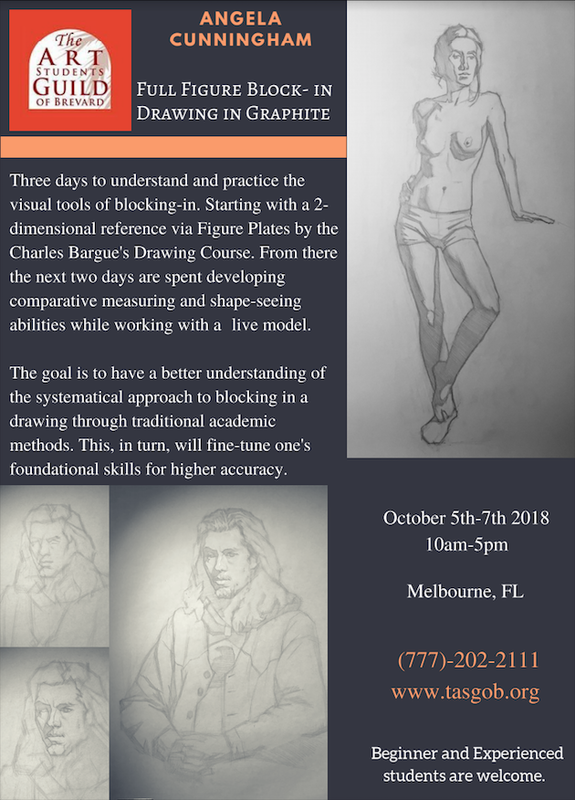 Easels will be available, so you learn Jon's vertical watercolor technique! phone: In Flyer. Please leave a message! or pay online with Paypal( they charge a convenience fee ).